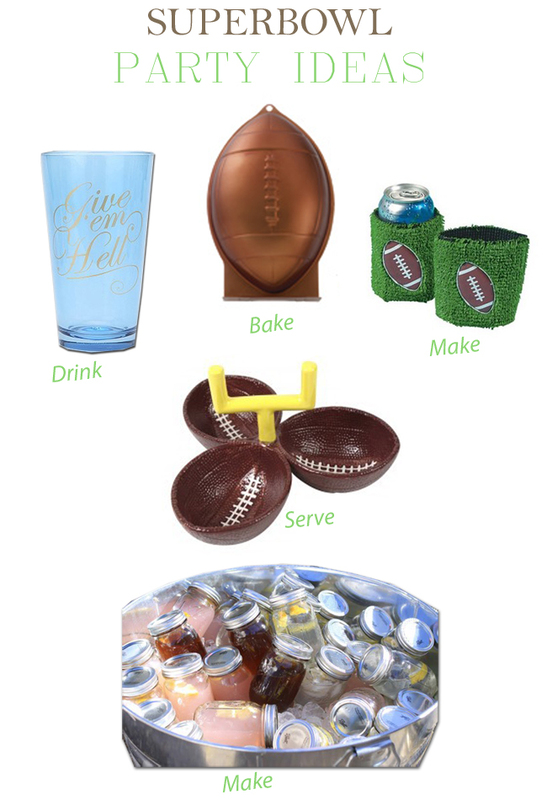 This week and next week, leading up to the Superbowl, I will be bringing you all sorts of ideas on how to throw a fabulous and stylish Superbowl party. Part 1 highlights some fun and easy ideas that you can make or buy. Because you know it wouldn't be a party without a DIY koozie project. Great ideas! I love those koozies. Can't wait to read more of your Super Bowl posts next week!